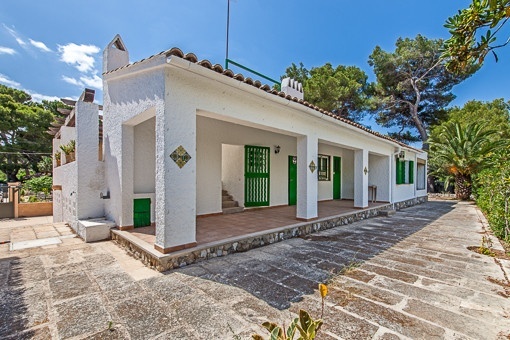 Playa de Palma, Typical Mallorcan detached house in Sometimes, Playa de Palma. 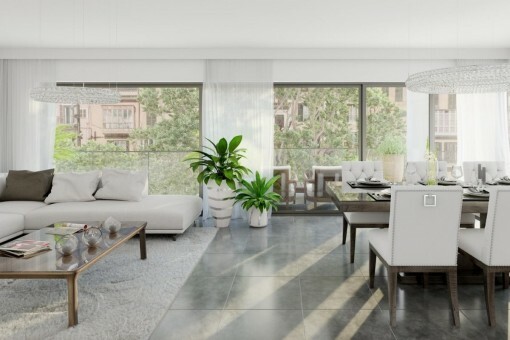 Porta Mallorquina - your leading real estate agent in Playa de Palma! 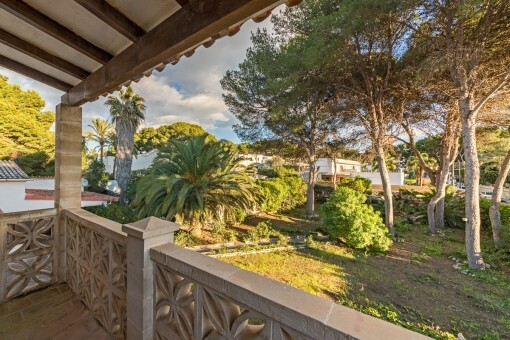 You are looking for a property for sale in Playa de Palma, or have a question regarding our real estate offers in Mallorca? 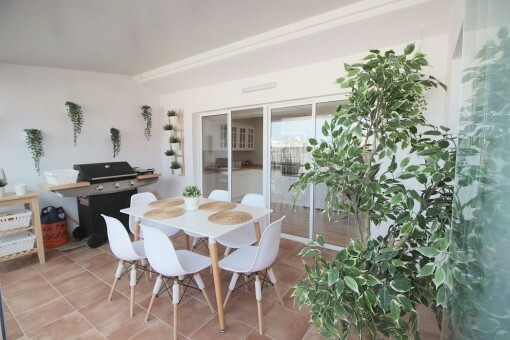 You were not able to find the ideal apartment in Playa de Palma? Then please call us on +34 971 698 242, or send us an email to info@portamallorquina.com. 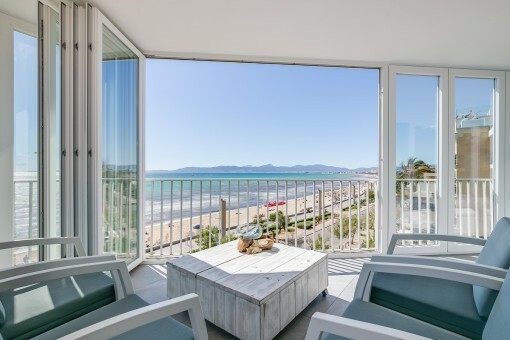 Our Porta Mallorquina real estate agents in Playa de Palma will be pleased to asist and will help you find your dream property. The Playa de Palma is a six-kilometre-long, fine sand beach in the south of Palma. The popular beach stretches between the two marinas of Can Pastilla and S`Arenal and is divided into 15 sections or bathing "Balnearios". Sections 5-15 belong to the city of Palma, and the sections 1-4 and thus large parts of S’Arenal belong to the municipality of Llucmajor. The border between the intergrown townships form the Torrente of Jueus, a water-bearing creek bed after rainfall. 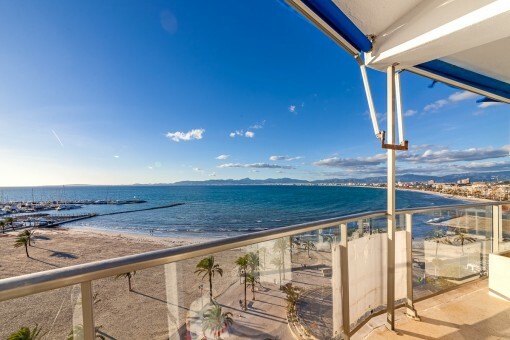 Nearly 12,000 people live permanently in the Playa de Palma. Many of them are foreign residents or mainland Spaniards who settled here during the tourism boom. This began in the early 50s when, amongst others, the first Riu hotel on the Playa de Palma was opened. In the early 60s a building boom was started to deal with the onslaught of sun-hungry tourists. The rapid development can be easily read by the population figures of S'Arenal. In the fishing village which was founded in 1887, there were around 1100 people in 1960. Twenty years later, there were already over 9000 certified residents. The development of Playa de Palma extends into the third and fourth line of the sea. About 250 hotels and approximately 500,000 beds offer accommodation here for the mainly German visitors. Mass tourism dominates the Playa de Palma beach like no other on the island. The notorious party mile on the "Balneario 6" with the great locals "Beer King" and "Mega Park" and famous nightclubs like the "Riu Palace" or the "Oberbayern". Those wanting Halli-Galli 24 hours will find it here. 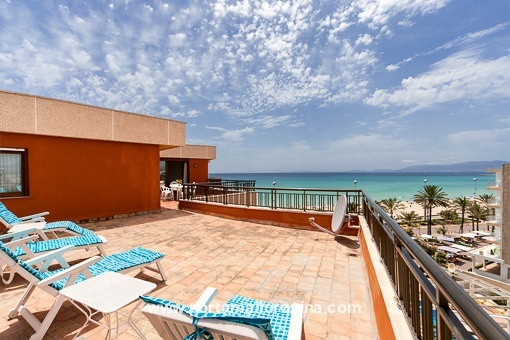 But surprisingly, the Playa de Palma also offers rest and relaxation. The south and north of the so-called. "Ballermann 6" lying beach areas are anything but crowded. 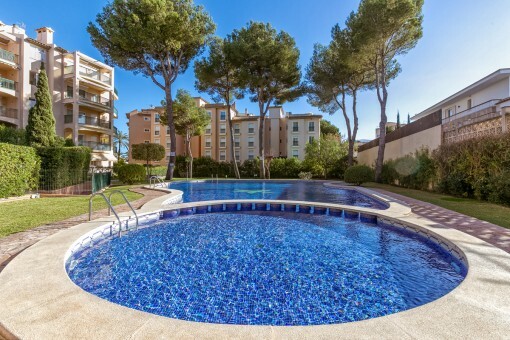 Here, families feel comfortable, especially at the Playa de Palma where the beach falls flatly into the sea and safe bathing is guaranteed. In addition, the water quality is excellent, as indicated by the blue flag waving on the beach. 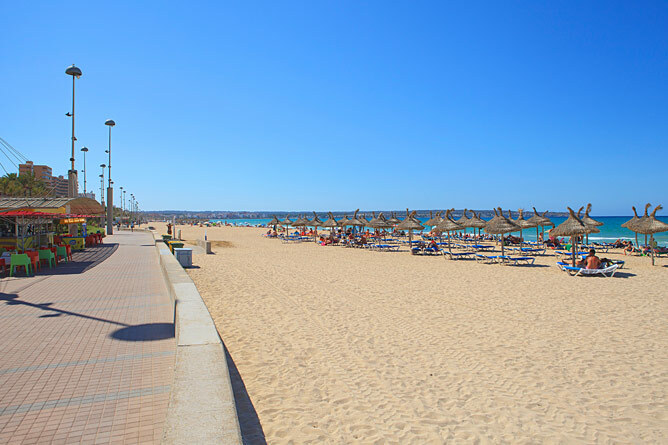 Recently, the authorities have sought an image change and restructure of the Playa de Palma. So as of summer 2014 the public caught carousing at the Balneario 6 have been handed with sensitive fines. The party tourism is gradually changing towards upscale quality tourism. The campaign is accompanied by subsidies, thanks to which many hotels have been restructured and refurbished. 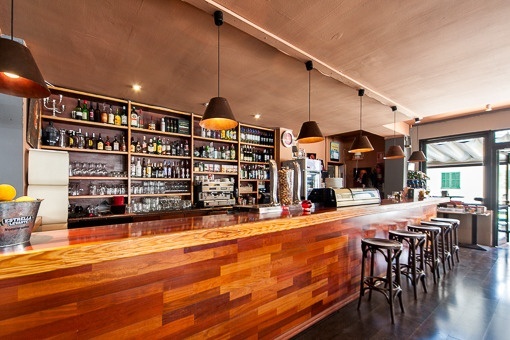 In the last three years the number of 4-star hotels has thus increased from 18 to 34. 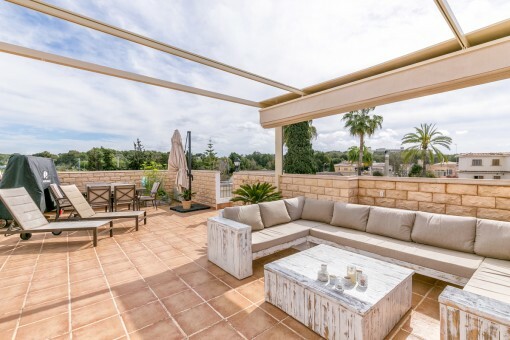 Wealthy guests know how to appreciate the benefits of Playa de Palma. 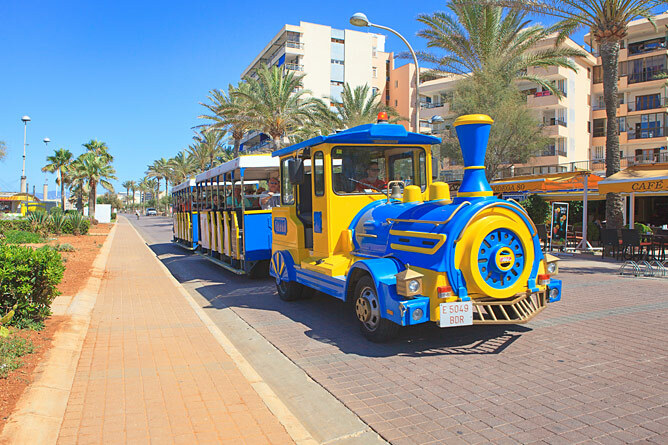 The Playa de Palma has a well developed infrastructure with broad leisure and entertainment options. 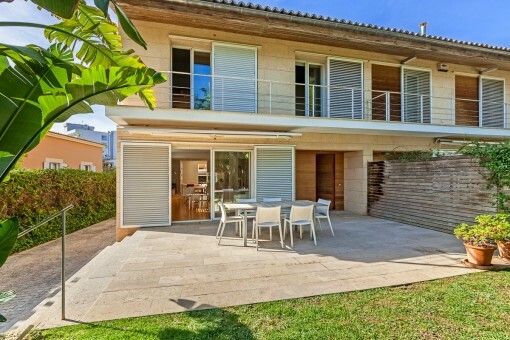 The proximity to the airport and the island's capital, is an additional asset. 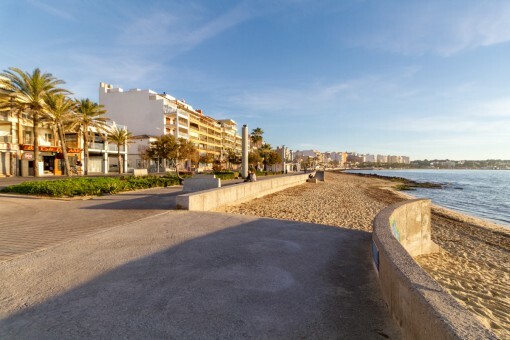 Many use the well-developed beach promenade and ride their bike over to Portixol, which takes only 30-45 minutes. Residents know another location advantage. When the tourist season ends in late September, the Playa de Palma transforms again into a real dream beach. In October, you virtually have the water to yourself. And from November to March it is especially nice to walk along the beach. Especially in the evening when the sun goes down behind the impressive peaks of the Tramuntana. If you look closely, you can discover the modern penthouses and well-kept apartment facilities that hide between the hotel buildings from the 60s. 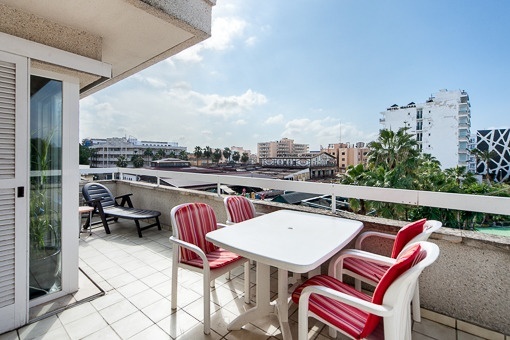 Even the odd top property is located in Playa de Palma. Because it never belonged to the shooters alone. 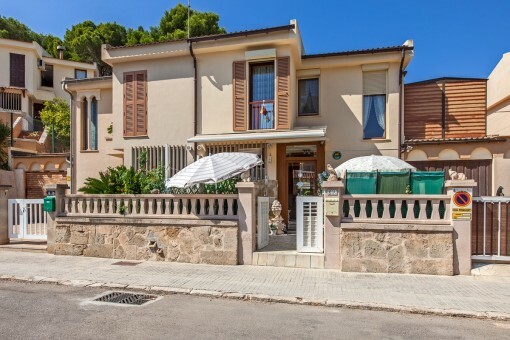 you are reading: Playa de Palma: Property for sale in Playa de Palma by Porta Mallorquina Real Estate · Porta Mallorquina Real Estate Rating 4,8/5 by 200 testimonials.